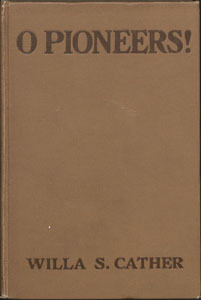 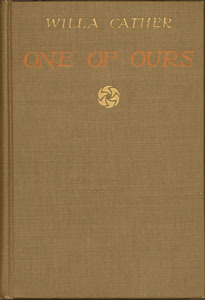 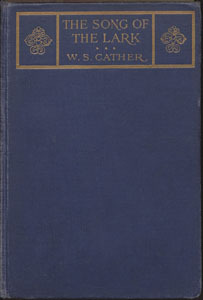 The Cather Archive currently has all first editions that are out of copyright available in electronic format. 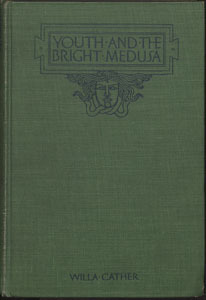 These editions are encoded in Extensible Markup Language (XML) using the standards developed by the Text Encoding Initiative (TEI) and are presented complete with digital images of every surface in the original print edition. 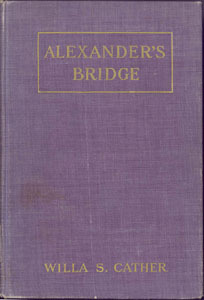 Five of these books are available in the Scholarly Editions part of the Cather Archive: Alexander's Bridge, O Pioneers!, My Ántonia, Youth and the Bright Medusa, and One of Ours. 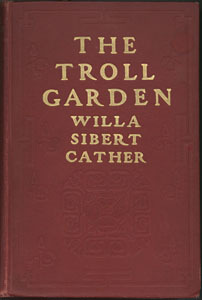 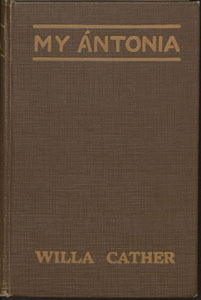 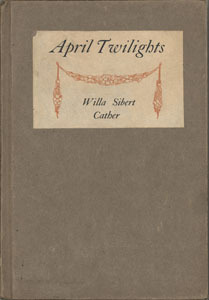 Copyright restrictions prevent us from publishing digital versions of the first edition texts released after 1922.